Proprietary Name: Equate Sunscren Ultra Broad Spectrum Spf 50 What is the Proprietary Name? Non-Proprietary Name: Avobenzone Homosalate Octisalate Octocrylene What is the Non-Proprietary Name? 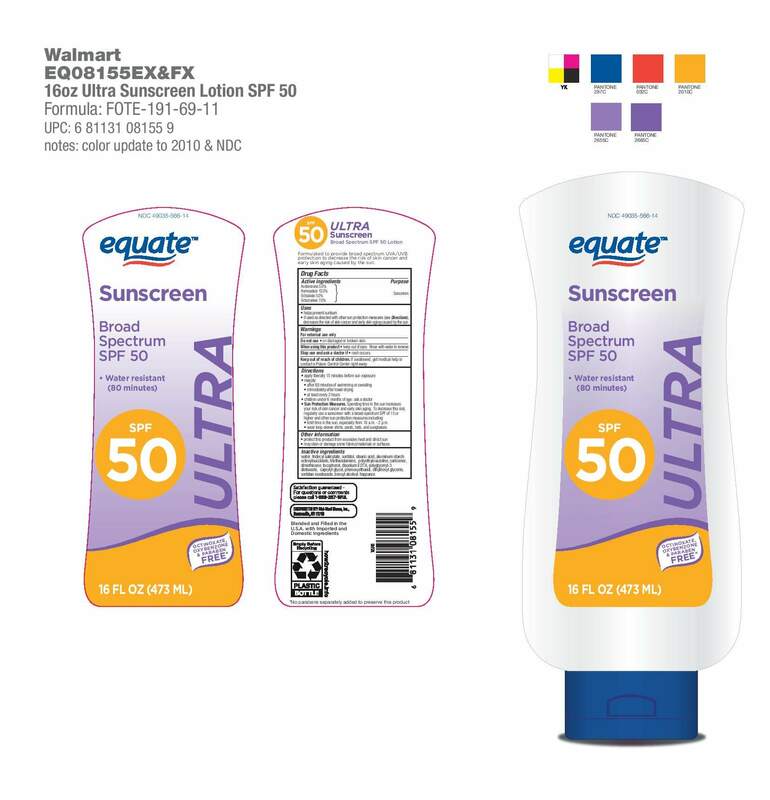 49035 - Walmart Stores Inc.
Equate Sunscren Ultra Broad Spectrum Spf 50 with NDC 49035-566 is a a human over the counter drug product labeled by Walmart Stores Inc.. The generic name of Equate Sunscren Ultra Broad Spectrum Spf 50 is avobenzone homosalate octisalate octocrylene. The product's dosage form is lotion and is administered via topical form. Labeler Name: Walmart Stores Inc.